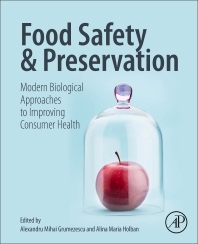 Food Safety and Preservation: Modern Biological Approaches to Improving Consumer Health explores the most recent and investigated hot topics in food safety, microbial contamination, food-borne diseases and advanced preservation methods. It brings together the significant, evidence-based scientific progress of various approaches to improve the safety and quality of foods, also offering solutions to help address food industry challenges. Recent studies and technological advancements in biological control are presented to control foodborne pathogens. In addition, analytical methods for reducing potential biological hazards make this book essential to researchers, scientists, technologists and grad students.